When journalist Elizabeth Balsam is asked to deliver a box of old photos to a relative she didn't know she had, the strange request seems like it isn't worth her time. But as she explores her great-aunt’s farmhouse with its locked doors and hidden graves, she soon discovers just how dramatically some of the most newsworthy events of the previous two centuries shaped her own family. As she searches for answers to the riddles around her, the remarkable stories of two women who lived in this very house emerge as testaments to love, resilience, and courage in the face of war, racism, and misunderstanding. Take an emotional journey through time—from the volatile streets of 1960s Detroit to Michigan’s Underground Railroad during the Civil War—to uncover the past, confront the seeds of hatred, and discover where love goes to hide. 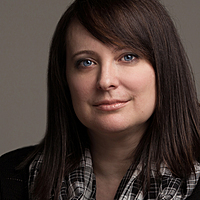 Erin Bartels has been a publishing professional for more than 15 years. Her short story “This Elegant Ruin” was a finalist in The Saturday Evening Post 2014 Great American Fiction Contest. 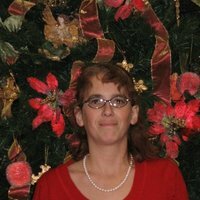 A freelance writer and editor, she is a member of Capital City Writers and the Women’s Fiction Writers Association and is former features editor of WFWA's Write On! magazine. She lives in Lansing, Michigan, with her husband, Zachary, and their son, Calvin. 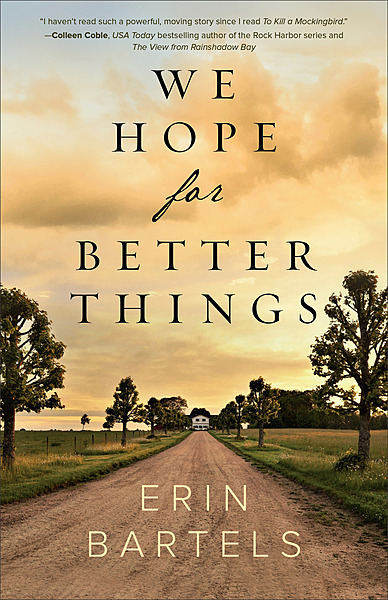 We Hope for Better Things is her first novel.